Super Cute, Easy, and Fun! 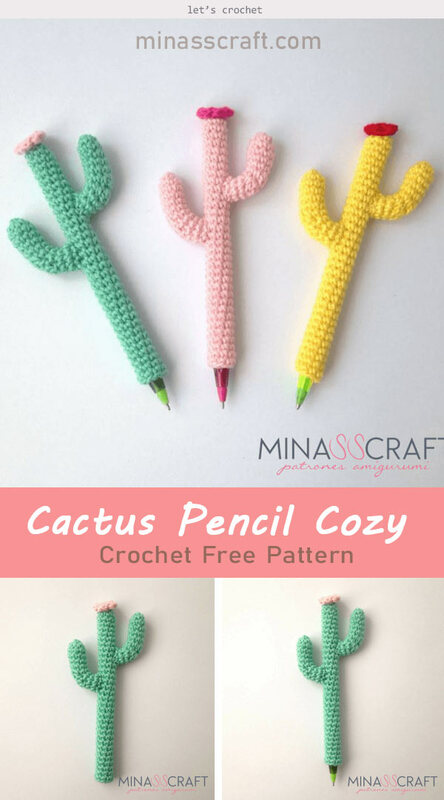 You will love this Crochet Cactus Pen And Pencil Cozy Free Pattern. They are really sweet and adorable! 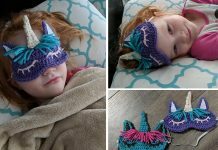 If you or your children are desert lover, you definitely shall crochet some for you. This Cactus Cozy will make your pen or pencil be unique and fun, even make you love to write more than before. 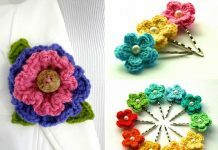 Since they are easy and quick to make, and cost almost no yarn, they are great for a classroom reward or party favor. 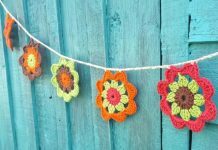 Thanks Mina SS Craft for sharing this free crochet pattern on minasscraft.com. The link for the free pattern is provided below photo. If you need easy-to-read PDF pattern, you can buy from here. It cost $1.6. Happy crocheting.